User-friendly overviews of the colours on offer. Practical for identifying colours in different environments or behind the shop counter. Designed for everyone – architects and designers, painters and shops. Support your shop staff in colour discussions with customers and simplifies the choice of colour area. We offer NCS Index 1950 and Cascade as standardised ranges, but often create customer-specific variations. All colours are also shown from their positions within the NCS colour triangle and the NCS colour circle, providing easy navigation between the different colour areas. Interested in the NCS Index 1950? 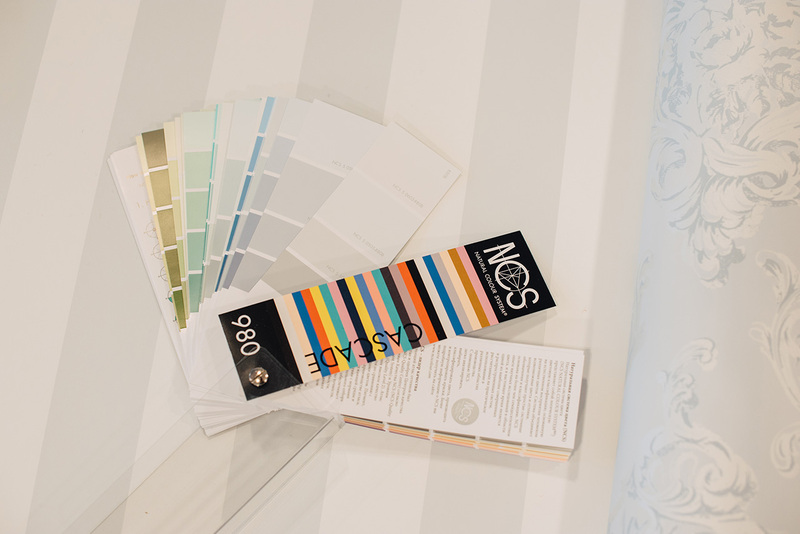 NCS Cascade 980 is also available as a wall display solution for paint shops, with refillable chips/stripe cards.